Guest Ranches aren’t about a bunch of rough cowboys trying to find a way to make a living. It is about an honest, hardworking group of people that love the outdoors, and want to share a piece of their world with others. Modern Guest or Dude Ranches come in lots of sizes, shapes, and with varying accommodations. In today’s world a destination vacation needs to offer more than what meets the eye; they need to be able to prove to their clients the businesses sustainability. Goosewing Ranch is no different, and we would like to tell you a little bit about what we are doing to improve our guests experience at the ranch. I like to think of the experience a guest receives at Goosewing Ranch as mixing leather and lace. You get the rough, tough western experience, all while enjoying cozy accommodations and modern amenities. Goosewing Ranch is doing its part to help maintain a healthy environment by using natural or “Green” cleaning products, bio degradable laundry detergents, and eco-friendly spa and bathing products. We offer Eco-sential brand shampoos, conditioners, hand, and body wash. These products break down and won’t pollute the ground water. We also offer locally grown organic oils in our spa. Get in touch with Wyoming’s nature while being pampered. 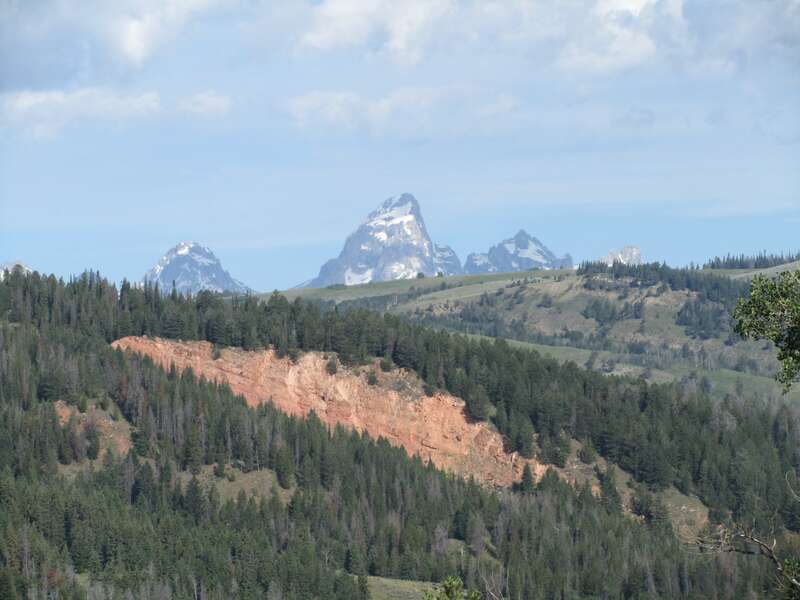 It is important to reduce, reuse, and recycle at any location, but being located in the Gros Ventre Wilderness and Bridger-Teton National Forest it is essential. Recycling not only reduces the amount of waste we have to pay to dispose of, but it also provides our employees and guests a sense stewardship to the environment. We provide all of our guests with a reusable water bottle at check-in and encourage everyone to fill it with our natural spring water that is available from every tap on the ranch. This water is excellent…not only is it from our very own spring, but it flows at a refreshing 42 degrees! We also try to limit and reduce the amount of energy, water, and detergents we use by asking our guests to reuse their bath towels. A hanging towel means you will reuse it and a towel on the floor means you need it replaced with a clean one. The ranch produces it own power through clean burning propane generators. The oil from these generators is recycled to a local business to be reused as a heating source. Jackson Hole might have started as a hide-away for outlaws, but it has grown into a global attraction. With Grand Teton and Yellowstone National Parks neighboring both Gooewing and Jackson there is no wonder way we want to limit our footprint on this beautiful country. Our goal is to provide you, our guests, with the best vacation, while helping you experience all western Wyoming has to offer. This is an area full of history, adventure, change, mystery, and beauty…We want you and your grandchildren to enjoy the same majestic views and wildlife encounters those generations before enjoyed. Experience Goosewing Ranch the way Mother Nature intended. Check out our sustainability page on our website for more information.